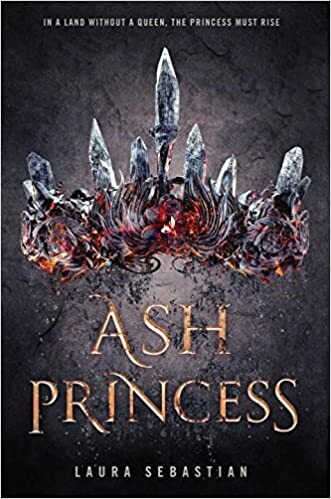 Description: For fans of Victoria Aveyard's Red Queen and Sabaa Tahir's An Ember in the Ashes, Ash Princess is an epic new fantasy about a throne cruelly stolen and a girl who must fight to take it back for her people. My Thoughts: ASH PRINCESS begins a new epic fantasy series. It tells the story of a young girl who watched her mother the Queen murdered in front of her eyes and who has spent the previous ten years as a captive in her own palace. She has been beaten whenever the rebels did anything that displeased the Kaiser. She has been befriended by the daughter of the man who killed her mother but she lives in total fear. She has also been waiting to be rescued. When she is forced to execute the last Guardian - her own father, she decides to stop waiting to be rescued and the take charge of her own future. Of course this isn't easy. She has no power and is under constant supervision of three guards. Her first change is necessarily internal. Her attitude has changed though her outward behavior hasn't. When a childhood friend who spent years mining the jewels that the conquerors want and which Theo's people used to magnify their magical powers escapes and comes to the palace, Theo finally has some actual support for her rebellion. Still, the rebels are a small group facing overwhelming odds. A plot is formed that involves turning Crown Prince Soren against his father to destabilize the government. So Theo begins to romance him and halfway falls in love with Soren who has suffered his own abuses at his father's hands. Theo is torn between the ideals she learned as a child and the crueler lessons she has learned in ten years as the prisoner of an evil man unable to trust anyone around her. This was an engaging story but most of the action was internal which won't catch the attention of those who want battles and sword fights. Readers who want a character who needs to survive and who has internal strength will enjoy this one. "It's not your loyalty I'm worried about," he says after a moment. "It's your mind. The Kalovaxians have had you for ten years, Theo. That isn't something that's easy to leave behind." I received this one in exchange for an honest review from NetGalley. You can buy your copy here. OOh nice! This is sounding more and more like my kind of book! Might need to buy this one sooner rather than later! I've seen this one on NetGalley and was curious about it. Sounds good.